From passive overconsumption to active co-creation. This seminar aims to inspire fashion and other designers and design students to explore opportunities outside the predominant economic structures of the current fashion system. A series of stimulating presentations will help understanding the potential business opportunities of participatory design approaches to move towards active co-creation with the user. During the workshop we will create and map ideas for alternative fashion economies. 10.00 – 12.00 Seminar: Exploring activism in sustainable fashion design. 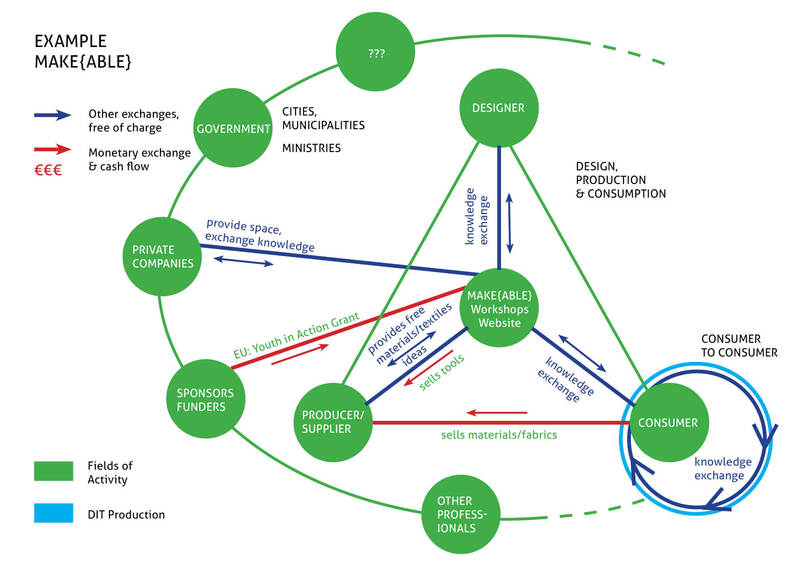 13.00 – 15.00 Workshop: Together we develop a map of alternative fashion economies.